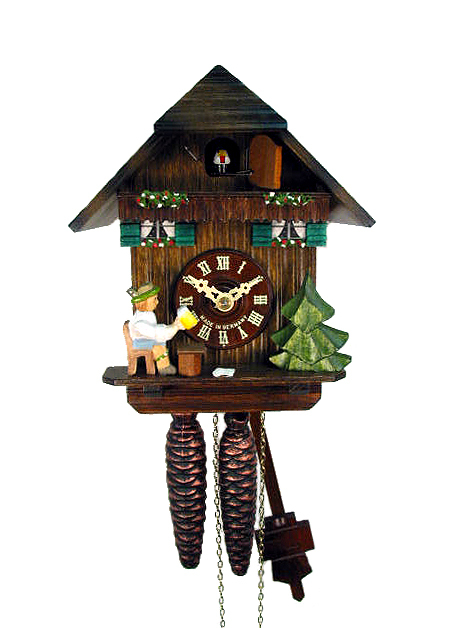 Cuckoo Clock with 1-day movement (mechanical) and beerdrinker function. 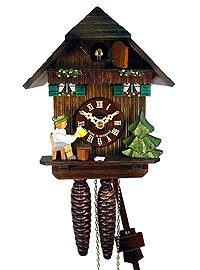 This is a small chalet clock with a beerdrinker at the front of the clock. When the clock chimes, the beerdrinker lifts his arm. Wooden dial and pendulum.